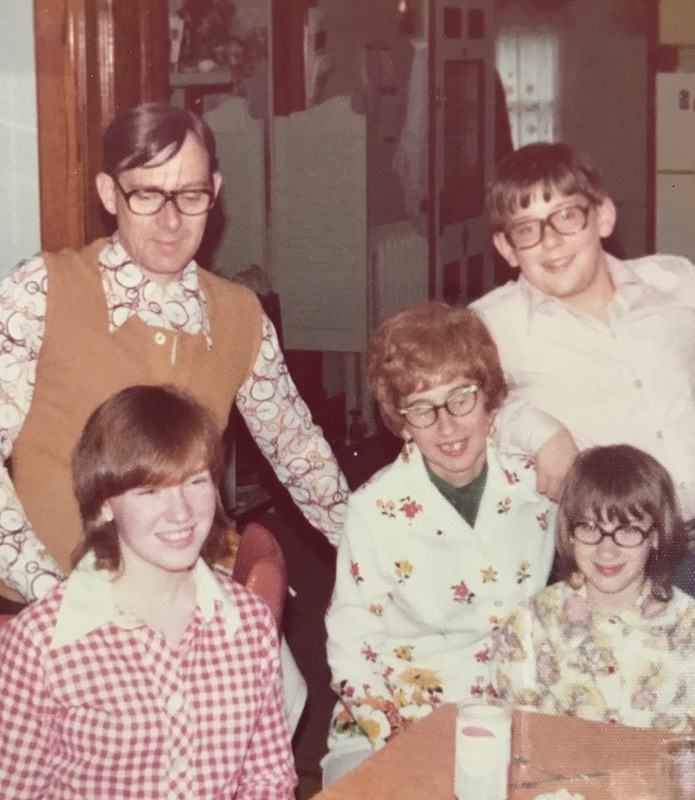 Over the past few years when I visit my dad in Indiana, I spend some time looking through the decades of photo albums that my mom organized and take photos of the photos with my iPhone to share with family members and friends. Fortunately, Mom was rather scrupulous about writing the names of those in the pictures and the dates taken. 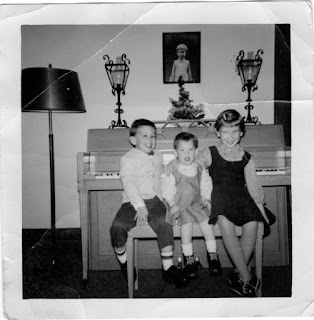 The pictures are collected in albums identified by the time periods in which the photographs were taken. At first, I concentrated on copying all of the pictures of my mom when she was a little girl and then a young woman in an attempt to know that part of her that existed before she was a wife and mother. Then I found my Dad's baby book filled with pictures of him as a flaxen haired, chubby infant. Looking through these albums brought me back to my childhood with my siblings, the neighbor kids, my grandparents, cousins, school mates, our beloved dog Jinxy, the changing furniture in the house as the years passed, events long forgotten. There had been a time when looking at these pictures horrified me. I wished they could be buried in a pile of rubble. How could I have looked that way! Why on earth did I wear that? What about that hairstyle!!!!! Today I look at all of these pictures with gratitude that my parents documented our lives so well- even if many of the images are off center or missing feet or a bit out of focus. I can look at the people we were with loving affection, with nothing but fond memories bubbling to the surface, wishing that for just one moment I could reach back in time to whisper in the ears of the those who are no longer here to say, I love you, one more time; to tell my awkward, insecure, fearful, always dreaming younger self to embrace with positivity and gusto all that life has to offer, to take chances, practice self kindness, and to forgive myself for my humanity, that perfection is no attainable. But alas, there are no Three - Eyed Ravens in my family! So, I will cherish the feelings I associate with the memories.